Kelvin probe force microscopy (KPFM) could identify the local work function of surface at nanoscale with high-resolution on the basis of simultaneous visualization of surface topography, which provides a unique route to in-situ study of the surface information like the composition and electronic states. Currently, as a non-destructive detection protocol, KPFM demonstrates the unique potential to probe the basic nature of perovskite materials that is extremely sensitive to water, oxygen and electron beam irradiation. 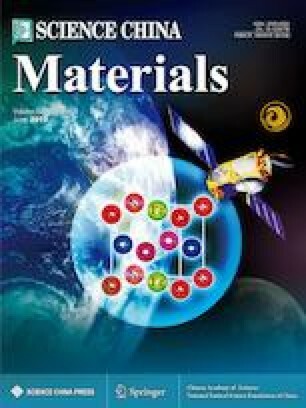 This paper systematically introduces the fundamentals and working mode of KPFM, and elaborates the promising applications in perovskite solar cells for energy band structures and carrier transport dynamics, trap states, crystal phases, as well as ion migration explorations. The comprehensive understanding of such potential detection engineering may provide novel and effective approaches for unraveling the unique properties of perovskite solar cells. Zhuo Kang received his BS and PhD degrees in Materials Science and Engineering from University of Science and Technology Beijing in the year 2011 and 2016, respectively. His research interest includes controllable synthesis and characterization of nanomaterials, as well as their applications in photoelectrochemical and electrochemical systems, perovskite solar cell, and biosensing devices. He has published more than 40 papers in peer-reviewed scientific journals. Yue Zhang is a professor of material physics and vice-president of the University of Science and Technology Beijing, China. He has been awarded the financial support for Outstanding Young Scientist Foundation of China and selected as the chief scientist of Major National Scientific Research Projects. His research focuses on functional nano-materials and nano-devices, new energy materials, and nanoscale failure and service behavior. He has published more than 400 papers in peer-reviewed scientific journals and 8 monograph, and held 30 patents. His publication has been cited more than 10,000 times. 开尔文探针力显微镜在获得样品表面形貌的基础上可同时得到表面功函数, 且具有纳米级高分辨率, 是原位探究样品表面信息的有效表征手段. 目前, 开尔文探针力显微镜作为一种无损检测手段, 在探测对水、 氧和电子束辐射极其敏感的钙钛矿材料方面显示出独特 的优势与潜力. 本论文系统地介绍了开尔文探针力显微镜的基本原理和工作模式, 并深入地阐述了其在研究钙钛矿太阳能电池能带结构、 载流子传输动力学、 缺陷态、 晶相种类和离子迁移方面的应用前景. 开尔文探针力显微镜为揭示钙钛矿材料和太阳能电池的独特性能提供了新颖有效的方法. This work was supported by the National Key Research and Development Program of China (2016YFA0202701), the Overseas Expertise Introduction Projects for Discipline Innovation (111 project, B14003), the National Natural Science Foundation of China (51527802, 51232001, 51702014 and 51372020), the National Major Research Program of China (2013CB932602), Beijing Municipal Science & Technology Commission (Z161100002116027), the State Key Laboratory for Advanced Metals and Materials, and the Fundamental Research Funds for the Central Universities (FRF-TP-18-042A1).